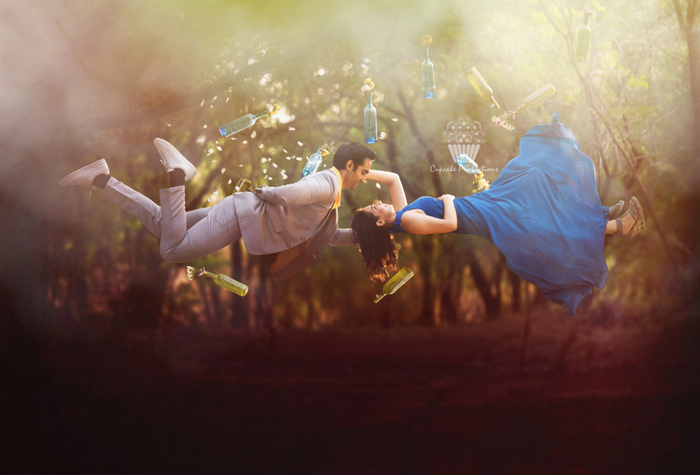 When this Levitation theme landed in our inboxes from Cupcake Productions, we were more than excited. 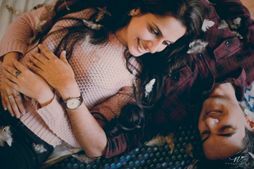 Because pushing the envelope is totally admirable, and while this may not be every couples cuppa tea, if you are the kinds who wants a pre wedding different than any other, this may catch your fancy ! 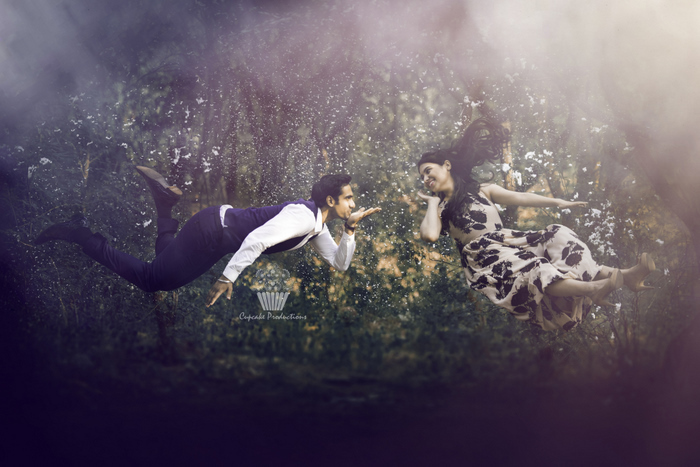 Advice from the good guys at Cupcake Productions: "Levitation images are magical! They draw the viewer in and make them think about what’s not quite right. We shoot what we are good at, and mostly stay inside our little box. Recently, we decided we needed to get my creative juices flowing again and get out of our comfort zone. Levitation photography caught our eye," they say. 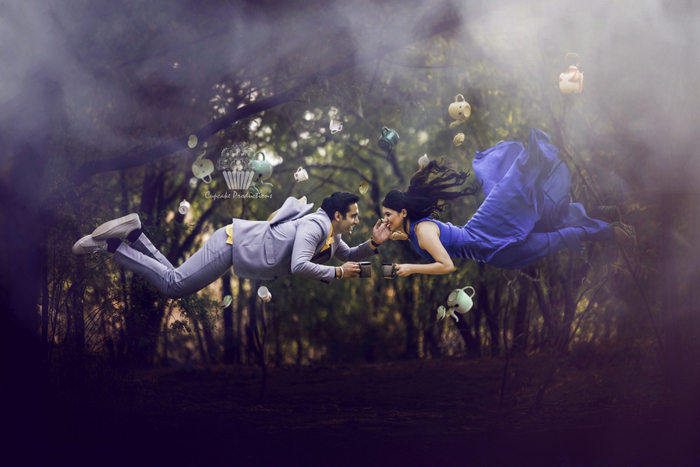 "The new benchmark in pre-wedding shoots has groom and bride-to-be, Rohit & Shruti who find love in the air. 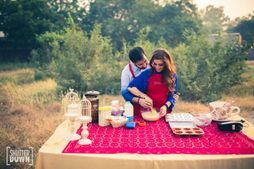 Cupcake productions has drafted a beautiful set- up for this couple , it was a very challenging shoot not only for us but for the couple as well. But yes it’s worth it. It's something beyond just a " pre-wedding". 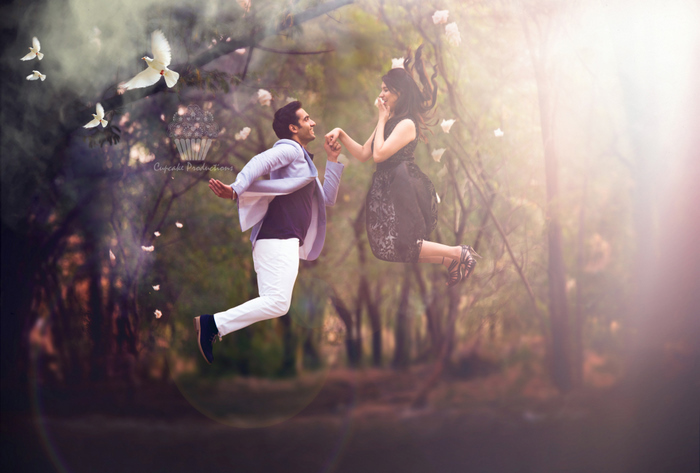 Creating levitation images lets your fantasies become “realities”. Don’t let the laws of physics prohibit you from creating true art.’" they add. Don't you just love the vibe? We sure are gasping for breath! 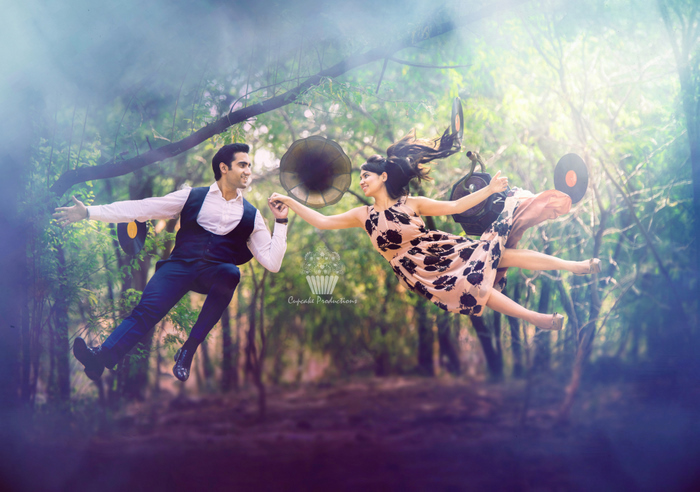 Inspired By 1940s a Love Story: Vintage Pre-Wedding Shoot! The Most Adorable Pre-Wedding Shoots That Involve Your Boy's Favourite Toy - His Car! 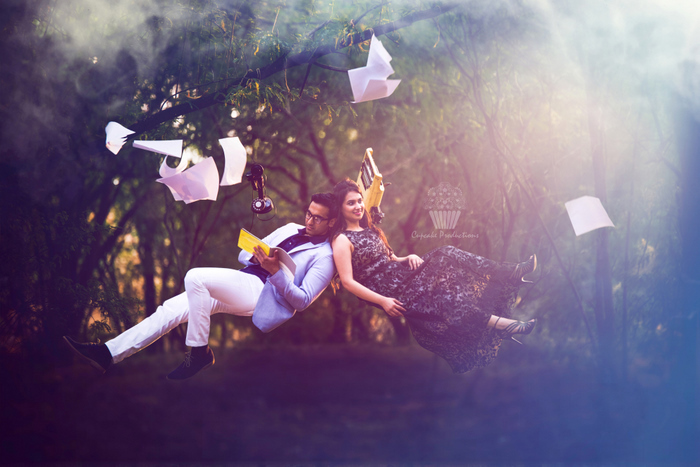 A Romantic Pre-Wedding Shoot in Mumbai in the Middle of the Night!